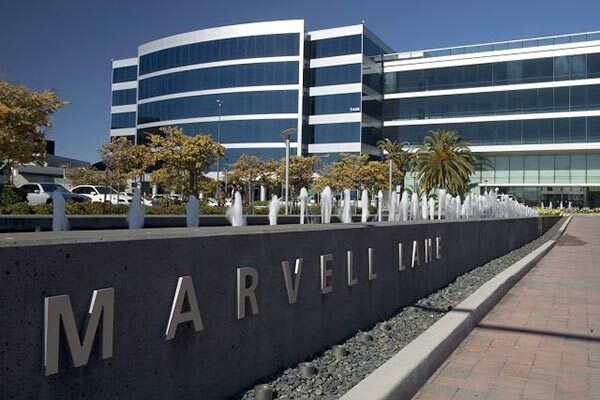 Marvell has been slapped with a $1.54 billion (£920 million) fine, for infringing two hard disk drive patents held by Carnegie Mellon University (CMT), as a trial launched back in 2009 concluded, reports Reuters. The scale of the fine is very large considering that it is equivalent to nearly half of Marvell's reported revenue for 2013. The amount is said to be one of the largest patent infringement compensation fines ever awarded. The ruling was issued by US District Judge Nora Barry Fischer and a Pittsburgh jury as they believed "enhanced damages," were reasonable since the university presented enough evidence to determine that Marvell had "wilfully" and deliberately infringed on CMT's hard drive innovations patented more than ten years ago. The fine is 1.23 times more the amount of the original $1.17 billion jury verdict from December 2012, with an additional $79.6 million in damages for infringements which were not taken under consideration at the time, due to lack of recent financial information. The fact that the jury found Marvell's infringement to be a "wilful" act, as Fischer said Marvell knew of the patents for at least seven years prior to the lawsuit, means that additional damages claims could potentially be awarded at a later date. However, the university's request to triple damages to $3.75 billion was rejected as the judge ruled that it would "severely prejudice" Marvell and even threaten its survival. Carnegie Mellon's request to stop further sales of the chips was also declined. "This award is sufficient to penalize Marvell for its egregious behaviour and to deter future infringement activities," Fischer wrote in her decision. Marvell had previously argued that a one-time $250,000 royalty payment would have been enough as opposed to the damages payment, equal to 50 cents per chip. The firm also said that it intends to appeal, arguing that the patents are invalid. The patents which Marvell infringed upon relate to an innovation called "noise predictive detection" in hard disc drive electronics, which according to Silicon Angle, "facilitate highly accurate recording of data sequences via noise signals." The two patents issued in 2001 and 2002 were used in Marvell's Media Noise Processor (MNP) and Non-Linear Viterbi Detector (NLD) chips. CMU said that at least nine Marvell circuit designs integrated the patents, and several billions of those product units were shipped. Marvell's share price has responded very positively to the fine amount being finalised and the threat of triple damages being removed. MRVL on the Nasdaq is currently up over 3.5 per cent. It's going to hit them quite hard in the pocket this, seems to be such a trivial patent, not sure I ever saw Marvell using this technology as part of it's marketing plan - still if you break the rules, expect to pay the price. and applying it to chips made and sold abroad. unless your apple - then you counter sue , 5 miles from your own HQ….. There is something a bit counter intuitive about holding patents and suing people that breach them. It's not exactly helping the advancement of mankind - just ensuring that if someone thinks you “invent” something you could get rich from it. Why not change the law (and please tell me if I've missed something here) so that you HAVE to pay a small pre-determined royalty if you use a patent. Therefore there is no litigation. Just, you sold 10million drives that used the tech, therefore you owe royalty*10million. End of story. Oh, and stop granting patents for spurious things. Perhaps I've just undermined my own argument there! I think you just echo every reasonable person who DOESN'T work in Law specifically for suing over patent infringement. Sadly the reason it won't work is because of economics. Two reasons. This is a REALLY big money game now. And when there is large amounts of money, people are interested in it and this has spawned a need (to defend or instigate). This in turn has generated jobs. The government will not change something so abruptly that you can clearly see the loss of jobs because of it. The second reason is greed. If you have patent X. It cost you 1 million dollars to generate the knowledge and secure the patent. Company Y comes along and sell 1 million of product z for 100 dollars a product. If you put in a clause saying it's 1 dollar per product than the company with the patent has just broke even. However, if there is no pre-set royalty fee per product you could take the company for a hugely disproportionate amount of money. And that is profit to the company who owns the patent.